Family vacation, birthday party, trip with friends, farewell party or many such memories that we always want to keep close to our heart are always waiting for the first digital camera. A Digital camera could have different meanings to different people. Most of us want to carry a camera all the time to capture every moment around us and a Digital Camera has become necessity today. There are so many Digital Cameras available in the market but not everyone fits in your budget. 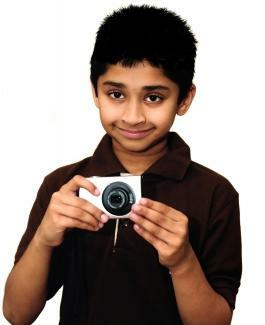 For beginners, there are enough Digital Camera Models available in the market and are not expensive either. All major brands including Canon, Nikon & Kodak have amazing value for money to offer at entry level cameras. We present five power-packed Cameras below 5000? Don't know why you guts are forcing me to hate your service. I had order 7 pen drives from your shopping website but today its almost 15 days got over and i didn't have got a single pen drive. Also you never reply to any of my emails.